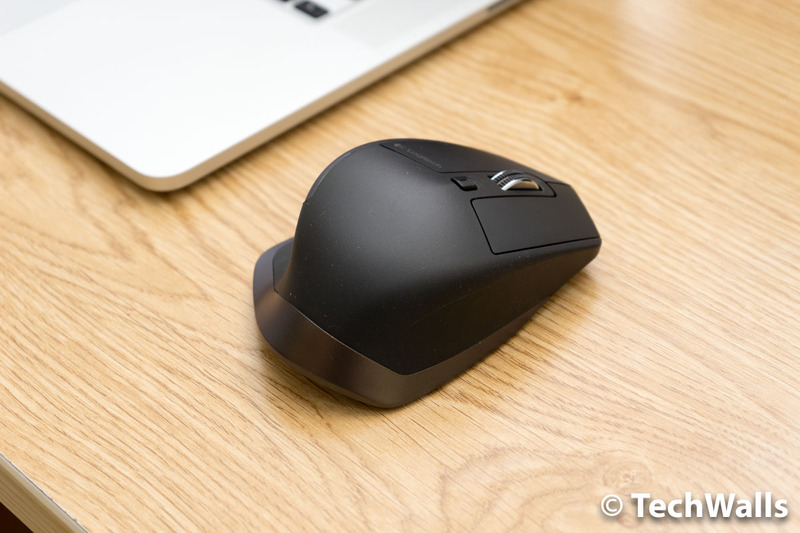 Logitech MX Master Wireless Mouse Review - The Perfect Mouse? 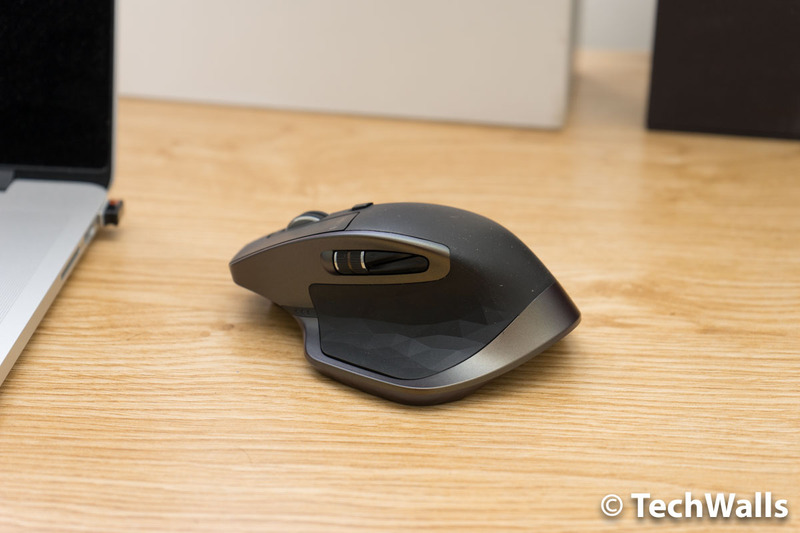 Logitech MX Master Wireless Mouse Review – The Perfect Mouse? I’d been using only one mouse in the last 4 years, that’s the Logitech M570 trackball and I thought that no other mouse can deliver the same comfort. Now I’ve got the chance to test the new Logitech MX Master Wireless Mouse in the last few weeks, can this one become my primary driver? 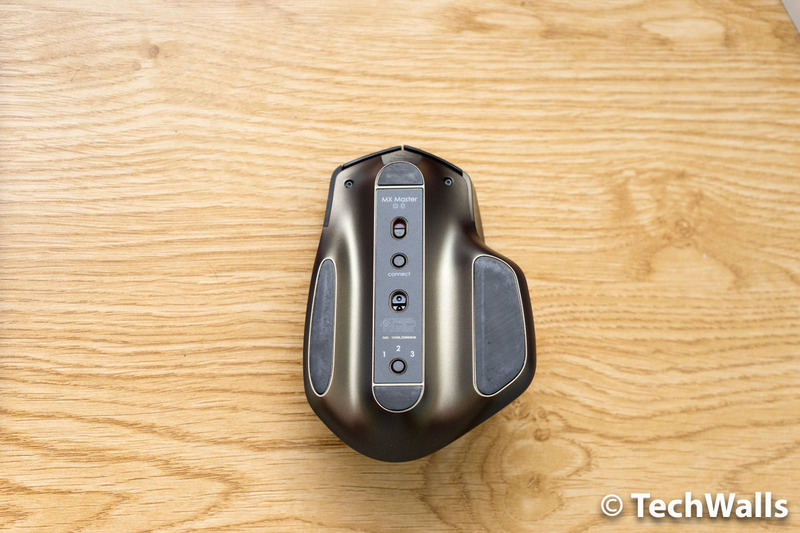 Keep reading for my experience with the highly-praised mouse. 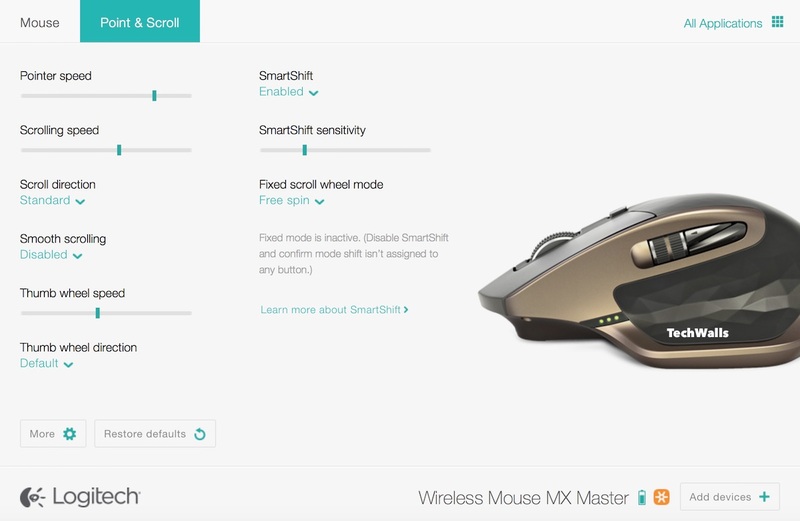 The Logitech MX Master is upgraded from the Logitech Wireless Performance Mouse MX, that’s the reason why you see some familiar design elements on the mouse. Its exterior is still made of plastic but the build quality and design are outstanding, so you won’t feel like you are holding a cheap plastic product. There is still a big thumb-rest area on the left, so the mouse is obviously built for right-handed users only. The hand-sculpted shape is covered in a rubber layer with two-dimensional geometric shapes, that makes the mouse even more beautiful. There is a hidden button called Gesture button on the bottom part of this area. When I press this button, it will show Mission Control (all open windows) on my Mac. Of course, you can easily customize the button and assign it to another function. You can also hold the Gesture button and move your mouse up/down/left/right for some more actions like switching between desktops or opening App Expose. There are a lot more customizations you can make after installing the Logitech Options software. There is a nice feature called SmartShift or speed-adaptive scroll wheel. When I turn on the option, the mouse will switch detect my movement and choose between 2 scrolling modes automatically. If I rotate the wheel slowly, the mouse will stay at click-to-click (ratchet mode) for precise navigation and it will turn to the hyper-fast (freespin) mode when I turn faster. The button layout on the left side also has some changes. The Back and Forward buttons are sitting closer to each other, and there is a thumb wheel right next to them. The thumb wheel will switch between pages or scroll horizontally by default, but you can use it as a volume control, brightness control or zooming. The MX Master comes with a unifying USB receiver, moreover, it also has Bluetooth 4.0, so you can use the mouse without the receiver. 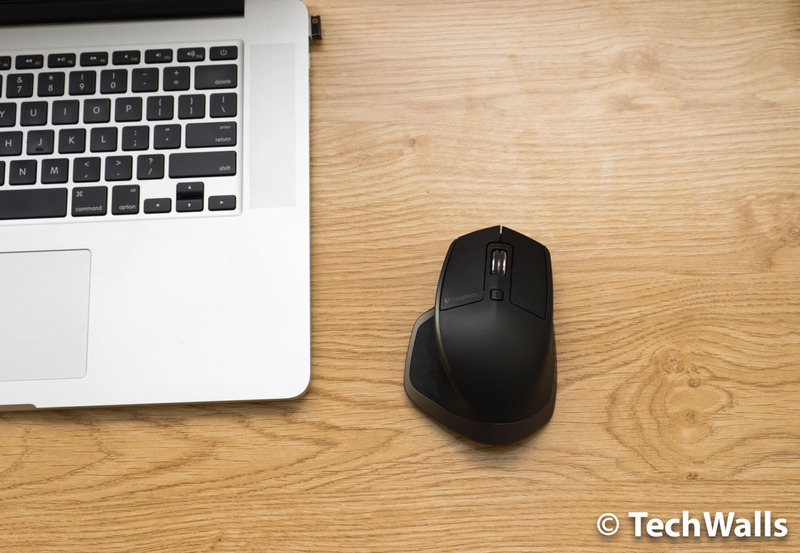 There is an easy-switch button on the bottom, you can pair the mouse to 3 different devices and pressing the button will help you change between computers quickly without tedious pairing/unpairing processes. On the base, you can also see a power button, a connect button and the mouse sensor. As mentioned above, I’ve tried a lot of mice including Logitech Wireless Marathon Mouse M705, SteelSeries Sensei Wireless and Logitech Wireless Anywhere Mouse MX but none of them can deliver the same comfort and performance as my Logitech M570, that’s the reason why I’ve stuck with the trackball for nearly half a decade. Amazingly, I could finally forget about the trackball after trying the MX Master in the last month, now I’m confident that this could become my primary mouse in years to come. The sensitivity of the mouse ranges from 400 dpi to 1600 dpi and you can adjust it in the software. The numbers obviously can’t satisfy gamers but it is more than enough for average users. I don’t have any complaint doing daily tasks like web browsing or image/video processing. The MX Master is also equipped with the Darkfield Laser Sensor like its predecessors. I totally love it because it works flawlessly on any surface. I tested it on many surfaces like glossy wood or glass, and I couldn’t see any difference in performance. Another great advantage of the mouse is battery life. The mouse uses a rechargeable battery and I expected it could last just a couple of weeks. Surprisingly, I still haven’t charged the mouse since I started using it nearly a month ago. Notably, I use the mouse heavily for about 8 hours a day and I even didn’t turn it off during the period. The Logitech MX Master is the most beautiful and comfortable mouse I’ve ever used. I totally recommend the product. The best wireless mouse for everyday use. 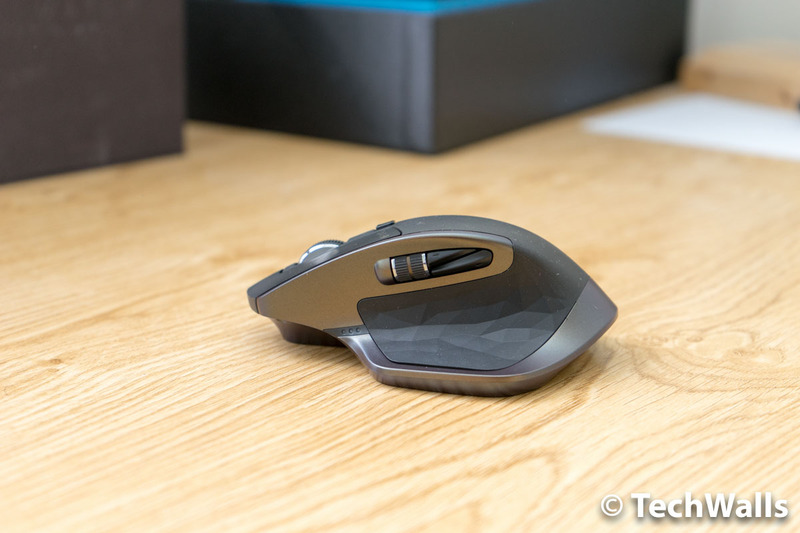 the 610 by Logitech is a better mouse mostly because on board volume control is native and it’s comfortable and loaded with programmable buttons. Check it out the trouble is it’s discontinued and as far as I can tell it’s the world’s only mouse with built-in volume. Controlling volume on your computer if you use it for full multimedia is one of the most used features all the other buttons are programmable making it a super powerhouse it’s comfortable batteries last forever. I find all the other mice lacking and the only way to get one like mine now is to find a used one or pay an outrageous price on Amazon. Haha, really?? Because of the built-in volume control?? You can configure any button on the MX Master to control voume?